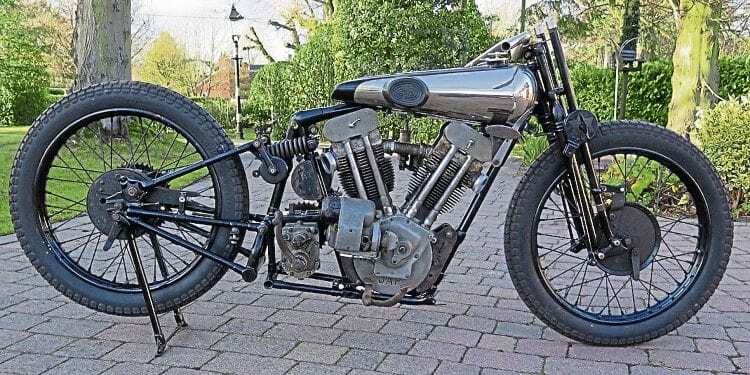 This legendary SS100 was owned and ridden by FP ‘Gentleman’ Dickson, a famous rider in the 1920s with successes in most UK rallies and races. 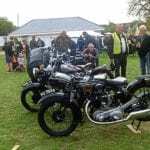 It will be sold on March 2 by H&H Classics at the National Motorcycle Museum for a conservative estimate of £160,000 to £200,000. Gentleman Dickson was George Brough’s closest friend and they entered many races together as the Brough factory team, including the International Six Days Trial – perhaps the most important competition at the time – in which the pair won gold medals in Scotland and in Austria where they were the overall winners. 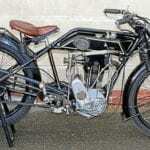 In 1930 FP Dickson rode this bike, TV 2001, in the ISDT in Switzerland along with George Brough and Eddy Meyer as the Brough team.